What is a Mola Mola? The ocean sunfish, also known as a mola mola, is an odd-looking fish. The word “mola” means millstone in Latin and describes the unusual, disc-like shape of this fish. Their teeth are fused together giving the sunfish a beak-like mouth that is always open, similar to their relative the porcupine fish. Mola mola may be brown, gray, white or spotted and are found in temperate and tropical oceans around the world. 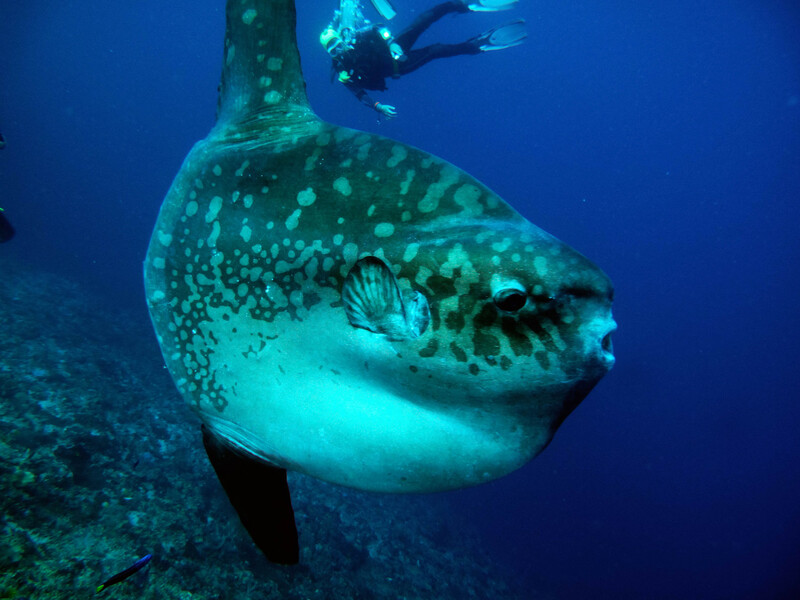 Mola mola grow to an average size of 11 feet (3.3m) in length and weigh around 2,200 lbs (997 kgs). The largest mola mola ever recorded was a female weighing more than 5,000 lbs (2,268 kgs) – that’s heavier than an average pickup truck. Where Does the Name Ocean Sunfish Come From? The common name “ocean sunfish” may have come about because this creature loves to bask in the sun. This animal is often seen lying on its side near the surface, soaking up the rays. 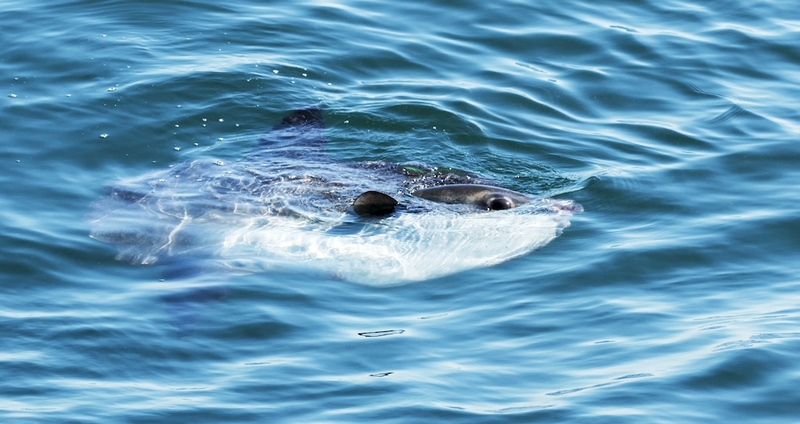 The mola mola may appear to be dead – until you see it waving a dorsal fin. Scientists aren’t 100% sure why mola mola behave this way, but many believe the fish is warming itself up after a long, deep dive. An additional theory supposes the mola mola wants to attract seabirds from above, and fish from below, to eat parasites from its skin. 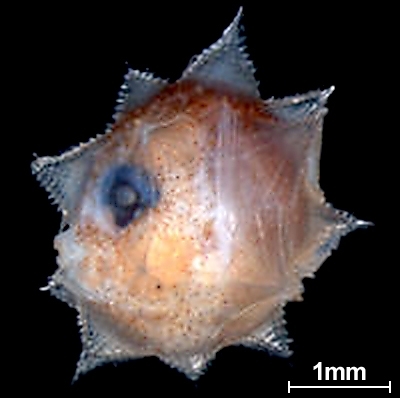 Mola mola are often infested with parasites and need help getting rid of them. The fish can jump up to 10 feet (3m) in the air, which scientists believe is an attempt to knock off some of the parasites. Mola mola eat jellyfish, algae and zooplankton. They are curious, and may approach divers, but they aren’t aggressive. Is the Mola Mola Endangered? The mola mola’s conservation status is “vulnerable.” They can easily suffocate on plastic bags, which resemble their favorite food (jellyfish). Also, hundreds of thousands of mola mola are victims of bycatch every year. The natural predators of the mola mola include: orcas, California sea lions and great white sharks. 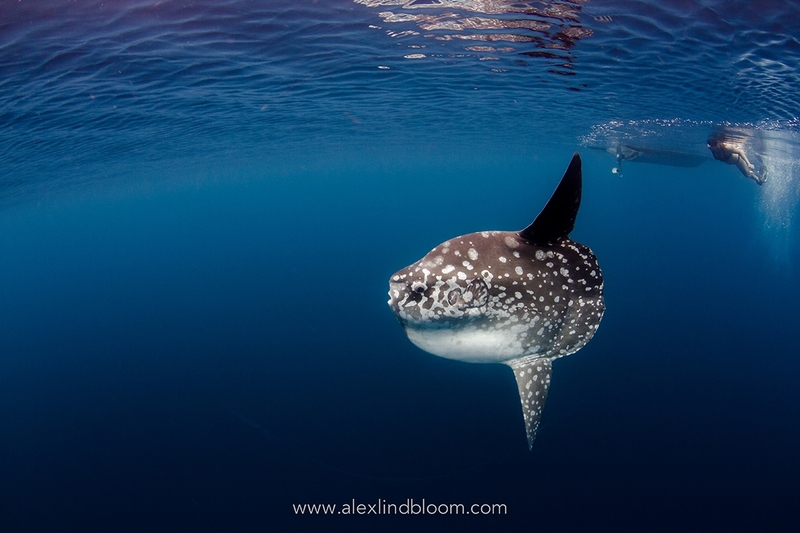 What Does a Baby Mola Mola Look Like? We’re so glad you asked! This massive animal starts out as a tiny, two millimeter baby fish that grows incredibly fast. The Monterey Bay Aquarium had an individual that gained 822 pounds (373kg) in only 15 months – nearly 2lbs (1kg) per day. 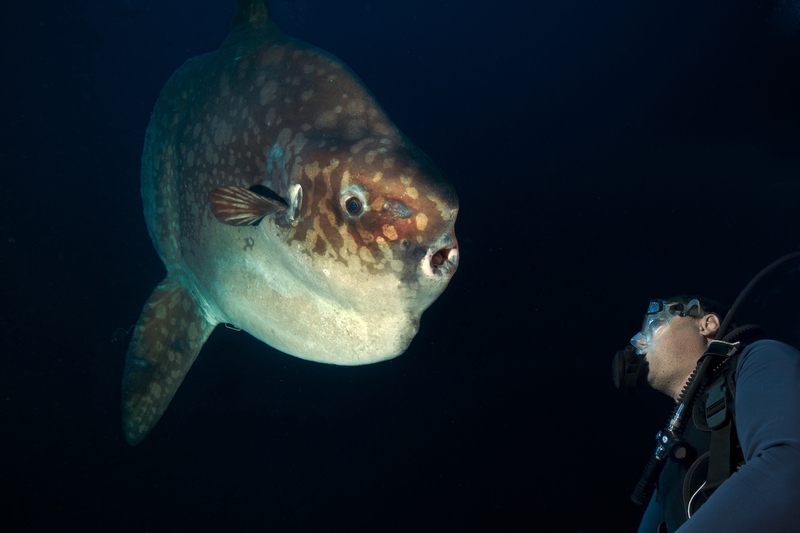 Want to Dive With a Mola Mola? Learn more about unusual fish and fish families in the AWARE Fish ID specialty. Contact your local PADI Dive Center or Resort to enroll.